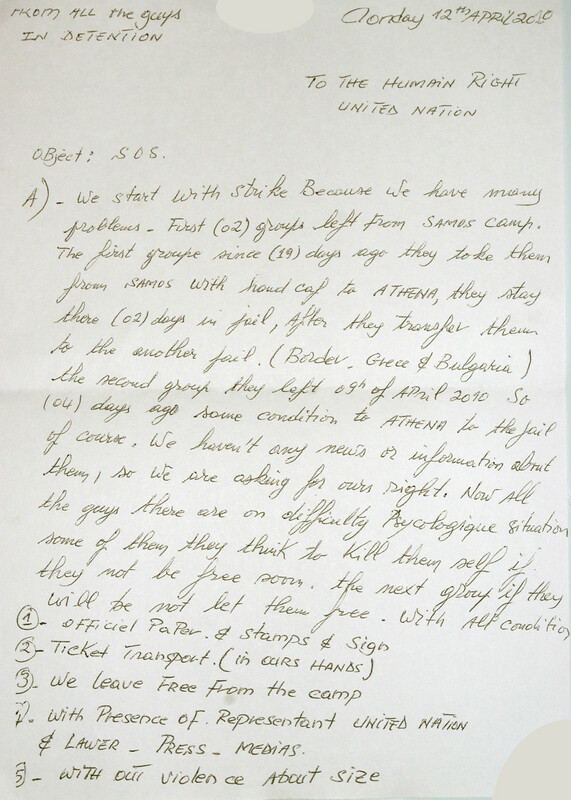 Published on August 28, 2010 in Deportation, Detention, Dublin II, Frontex, Insight, Photos and Samos. Closed Tags: arrival, Frontex, plans, policies, Samos. In the last few days we gradually arrived in Samos and found a totally unexpected situation. 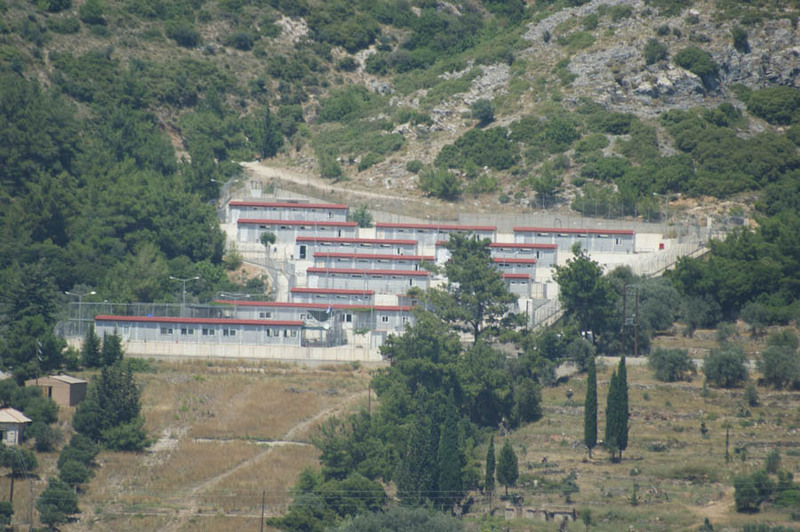 The huge detention centre above Vathy is empty, all detainees have been transferred off the island, presumably to Athens, where they are either held in another detention facility or are released with the infamous White Paper. Currently, there is an Italian Guardia Frontera ship in the harbour representing FRONTEX. The Dutch coast guard is present with a speedboat. From our observations, the latter basically go around and drink coffee at the various beaches. 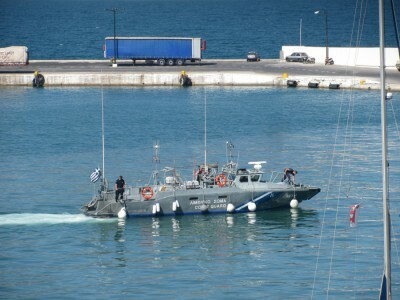 The Greek coast guard has two boats in Vathy, one of them is broken, though. The Italian Frontex ship leaves every night at 10 p.m. and returns in the early morning – but these days they are not very “successful”: According to what they say, they have not caught anybody during the last weeks. Inhabitants told us that still some people arrive on the island but without being caught. But compared to last year, arrivals have dropped dramatically. According to a chatty coast guard officer most refugees now choose the route via the Evros region in the north of Greece. 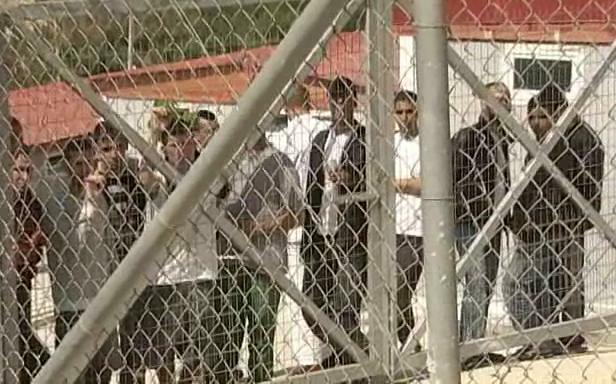 The few people caught on the island are imprisoned in one of three police stations on the island and usually not taken to the detention centre, but sent to Athens straight. Published on July 30, 2010 in Demonstration, Deportation, Detention, Frontex and Samos. 2 Comments Tags: Detention, Frontex, noborder, Samos, vathy. Samos is one of the Greek island off the Turkish coast. At the closest point, you have the feeling you can easily touch the other side if you stretch your arm a little. Not surprisingly, many refugees and migrants attempt to cross the border to the European Union here with small boats. In 2007, a new detention centre was opened on the hills above the island’s capitol Vathy. Before, migrants were detained right in the city centre, behind the main church and the city hall, in the first floor of an old, run-down building. All those that passed this jail said that the conditions were unimaginable and made many people sick. With funding from the European Union, the new detention centre is nothing like that. It consists of 14 buildings made from metal, most of them are used for the detainees while some are administrative buildings. The whole camp is surrounded by a double barb-wired fence, CCTV cameras as well as loudspeakers are everywhere: bidirectional communication to the advantage of the guards. The camp even has a children’s playground as well as a basketball court. Too bad that there are no basketballs available, so the court is mainly used in summer, when the capacity of the camp does not suffice and newly detained migrants have to sleep there, on the bare ground (like in 2009). Published on July 19, 2010 in Deportation, Detention and Samos. Closed Tags: direct action, hunger strike, Samos. 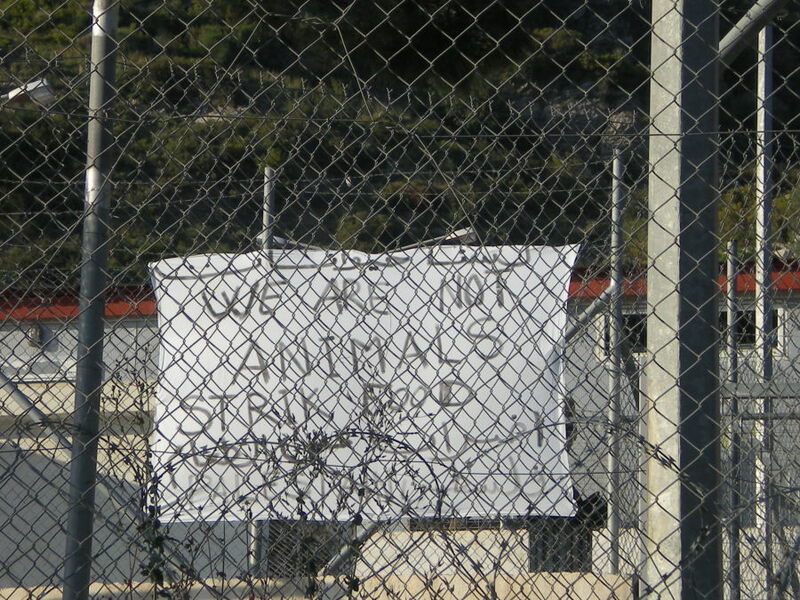 [a]ccording to ANA-MPA, 170 migrants detained in the Samos detention camp started a collective hunger strike. trying to stop their deportation. 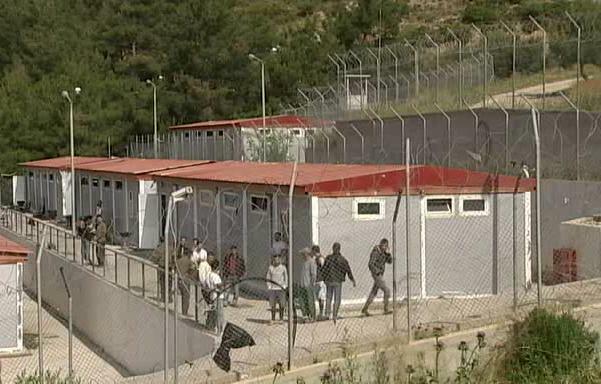 They demand an end to the transfers to detention centres close to the greek-bulgarian land border in the north. Such transfers happen between two and three times a month in Samos, the last one happened last week, when 50 migrants were taken. That would the the second confirmed hunger strike in Samos. We already reported about the one in April (statement | video). It is no surprise that all this happens in Samos, since there, the Greek state as well as the European Union through its border agency Frontex are experimenting with new ways of intercepting and deporting migrants. Published on July 9, 2010 in Deportation, Detention, Frontex and Samos. Closed Tags: Deportation, Frontex, press release, Samos. 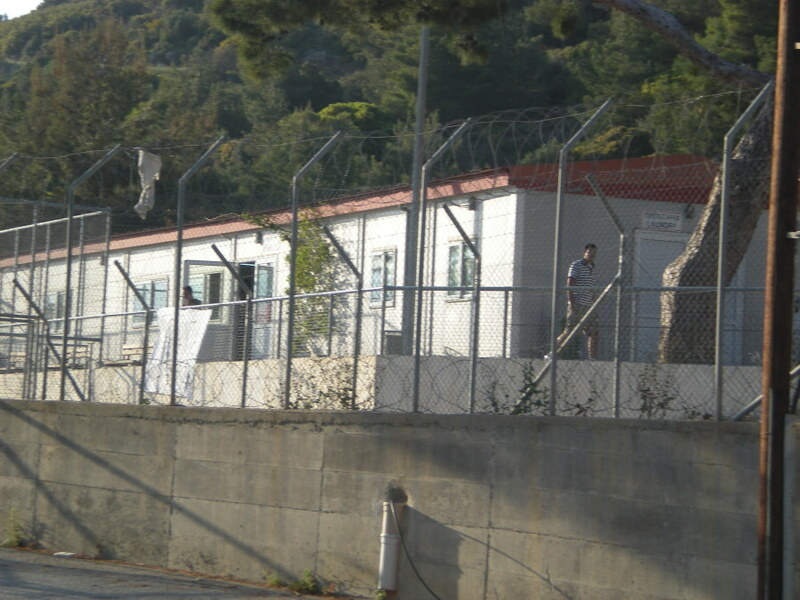 For one more time on thursday 1/7/2010 50 refugees where transported from the detention center of samos to be deported. 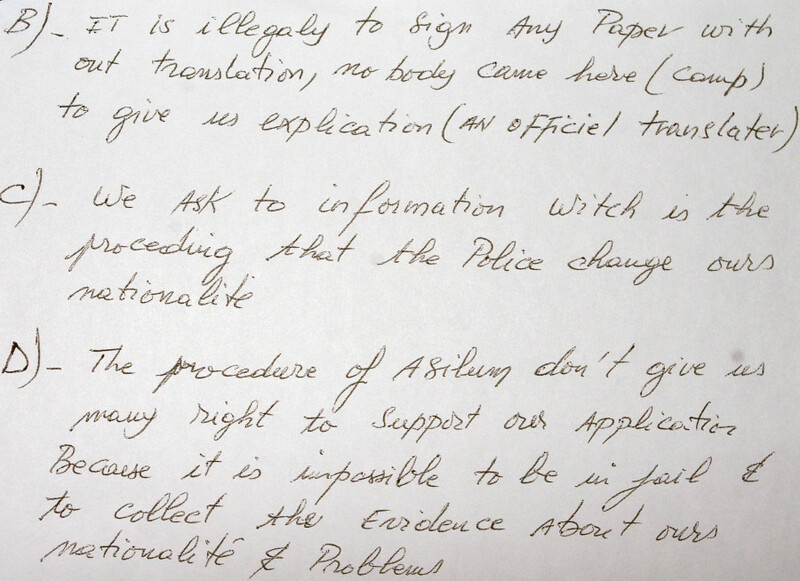 They where transferred to the center of Aspropyrgos (detention centre near Athens) without having been informed that they will be transferred or the reasons without lawyers and without translators. For one more time the police, the coast guard and Frontex coordinate their actions and transferred illegaly also a minor of 15 years with health problems. Who gives the permission to frontex to be inside the detention centers and to collect information from the refugees and decides about their nationalities and their deportation? In the same way like the Greek Government accepts that the European Union and the International money fonds take decisions against the working greeks in the same way the greek Goverment has let the decisions about the future of the refugees to Frontex forgetting everything about constitution and conventions on human rights. We are denouncing this practices and unite our voices with all humans beings who act against this violations of human rights. We are in solidarity with this people who where forced to abandon their countries and flee because of wars, poverty and desertation that causes the imperialist atrocity. Those who produce refugees, face the refugees as criminals, without rights, without voice, without future. Published on April 14, 2010 in Deportation, Detention, Featured, Frontex, Photos and Samos. 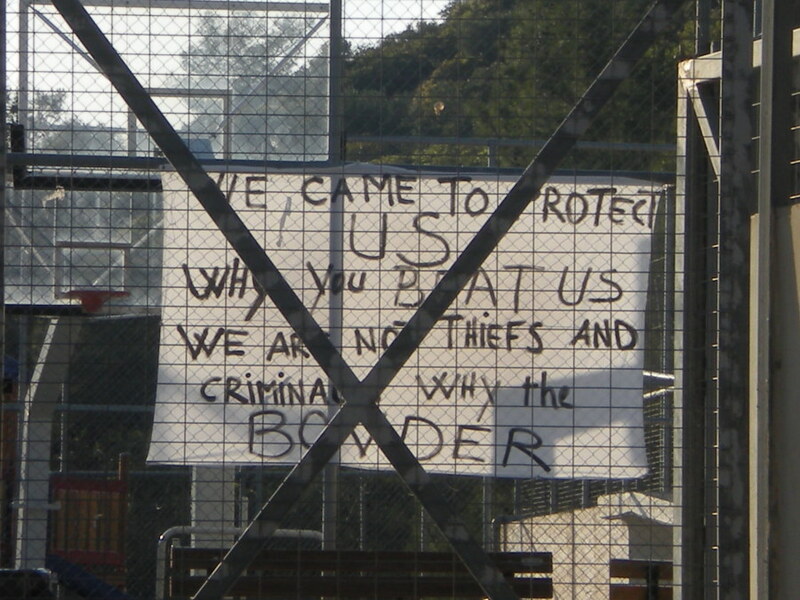 5 Comments Tags: detention centre, Frontex, hunger strike, Samos, we will win.